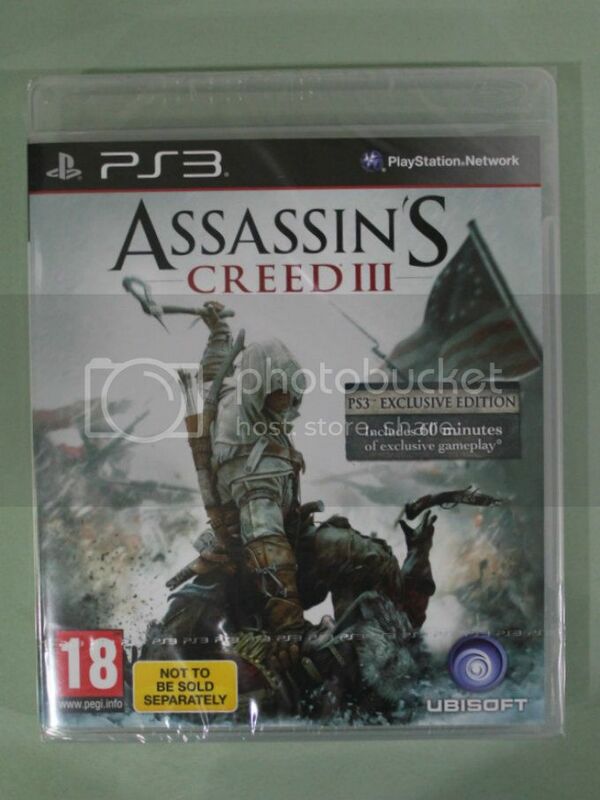 Dr Jengo's World: Assassins's Creed 3 Freedom Edition - Freedom Baby! 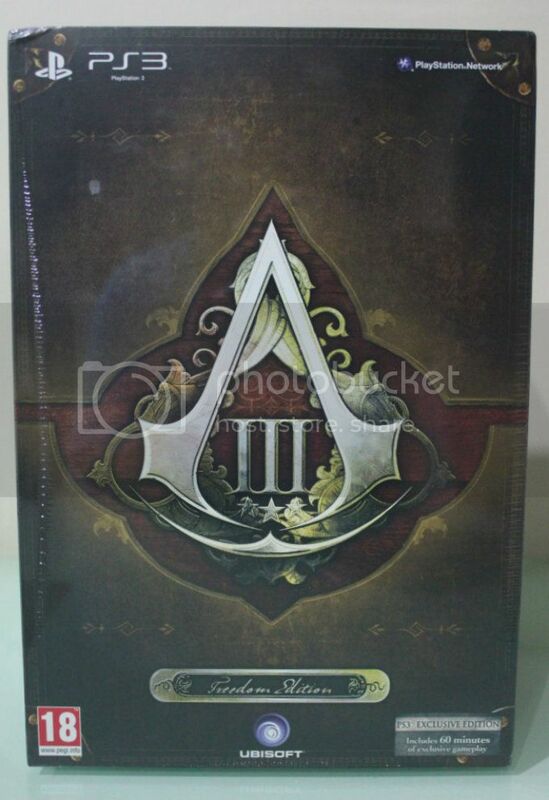 Assassins's Creed 3 Freedom Edition - Freedom Baby! Finally the 1 edition that I was most excited for! 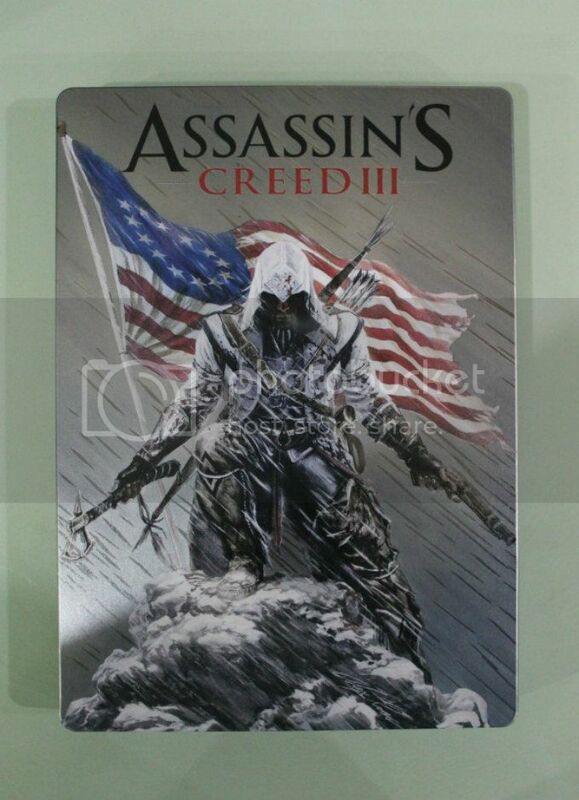 Though I bought 4 different CEs for Assassins Creed 3, the one I was most excited for, was the Freedom Edition. 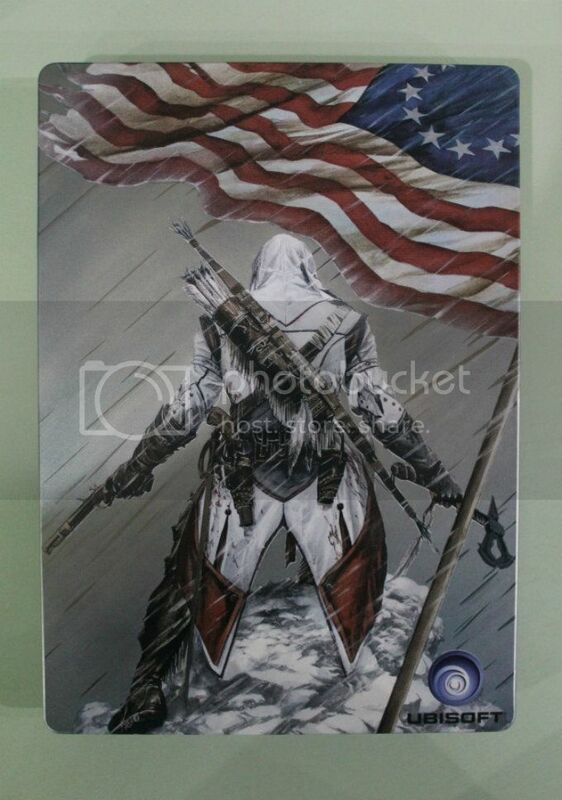 Thanks to a friend in UK that I got to know on the Collectors Edition forums, he was the one who helped order the Freedom Edition as well as ship it to me. So when it finally arrived, I was very happy. 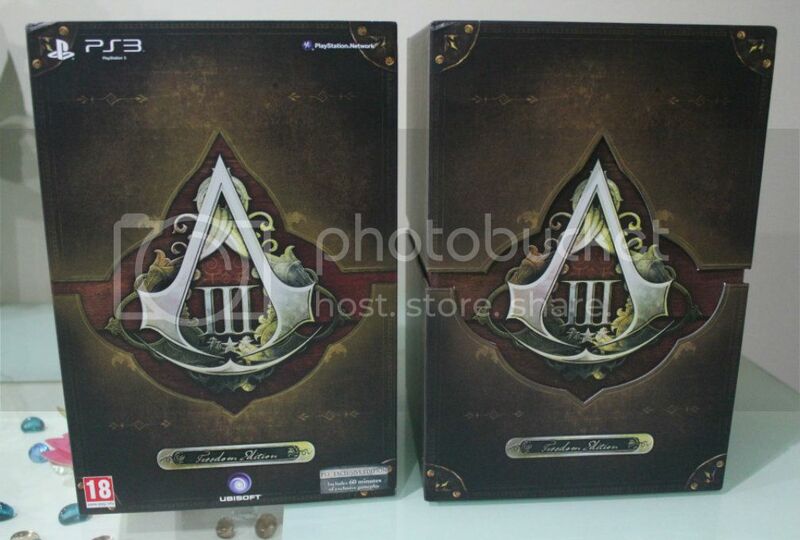 So here it is..
Once you take off the outer cover..you see the same design inside but without the PS3 logo and all the other necessities..
A little disappointed that the box wasn't made of hard plastic like the Assassin's Creed Revelations one, especially when they were advertising it as a "Collectors Box". 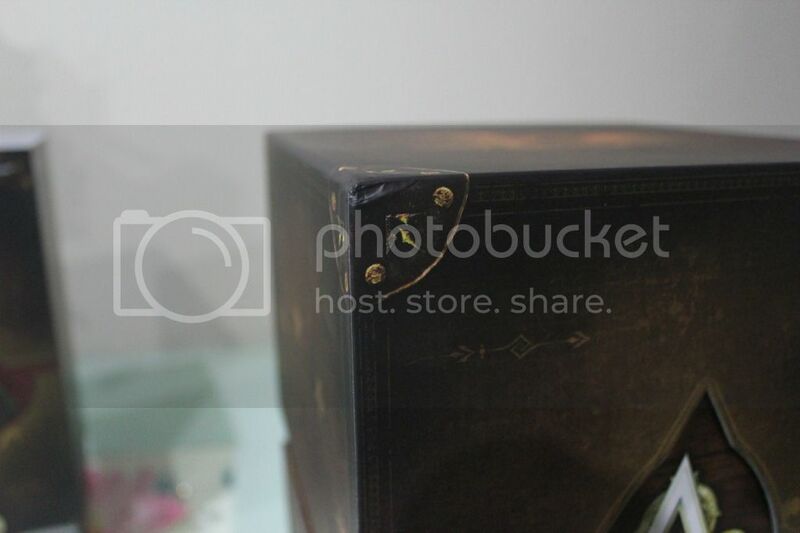 Another reason why I believe Collectors Edition boxes should be made in plastic.. But of course, seeing mint boxes arrive is always nice! Ok so now you know that it's not really the box that I'm interested in.. let's see what's inside..
Don't really collect Steel Books but this looks pretty amazing! Was thinking of selling it off but I'm tempted to keep it now..
Another collectible that I don't go buying are Lithographs but I got plenty of these from various Collectors Editions. 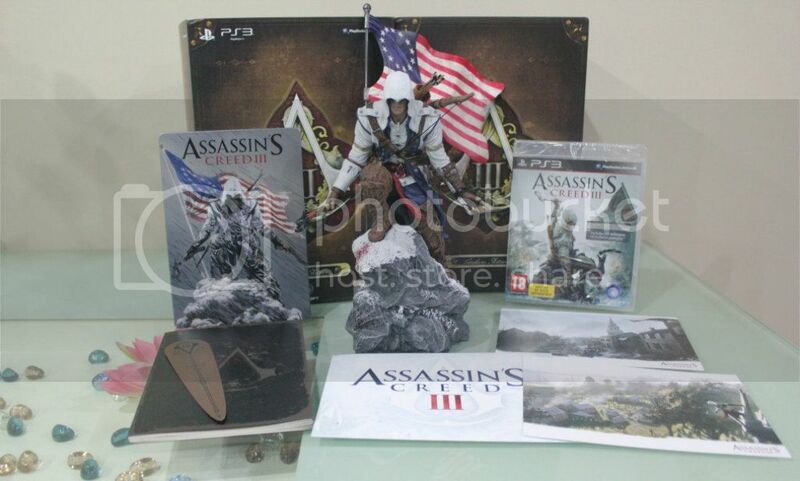 Very nice..
And the most amazing item in the Freedom Edition.. The Connor Statue! 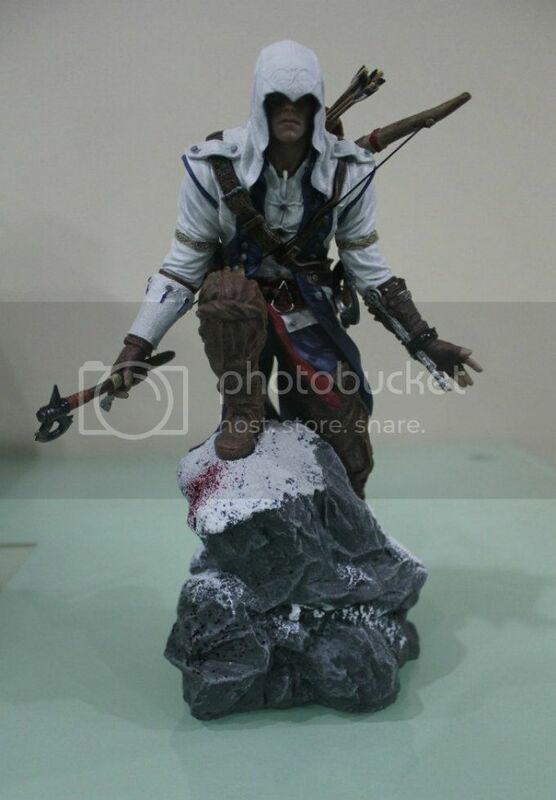 This one is different from the previous Connor statue that I have. Both statues are made by different companies (but could be the exact same China factory worker!) but still have a similar feel and look to it. Both Connor Statues look good together and together with all the rest of the statues, they look amazing! I was too excited to place this guy in my display cabinet with the rest of the figures that I forgot to take a picture of it with the Flag attached but you can see a picture below with the rest of the items. With this Statue, my Assassin's Creed Statue Collection is now complete! Freedom Edition with all contents.. 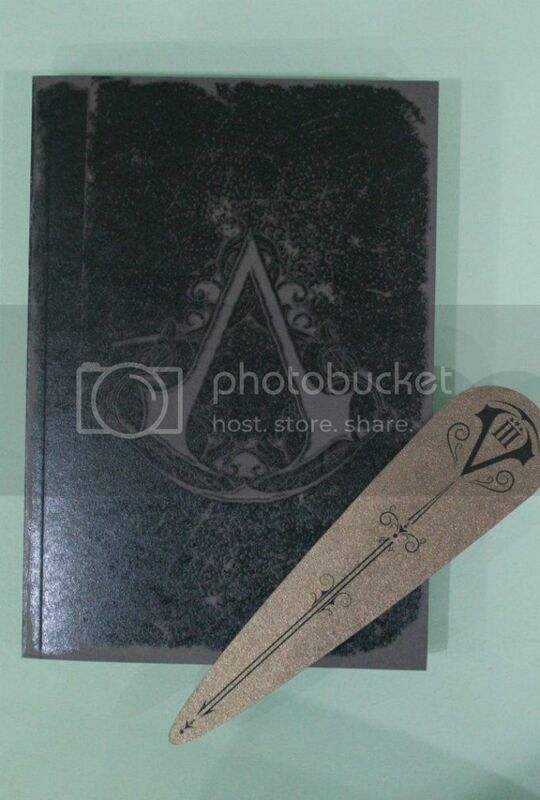 Very nice Collector's Edition. 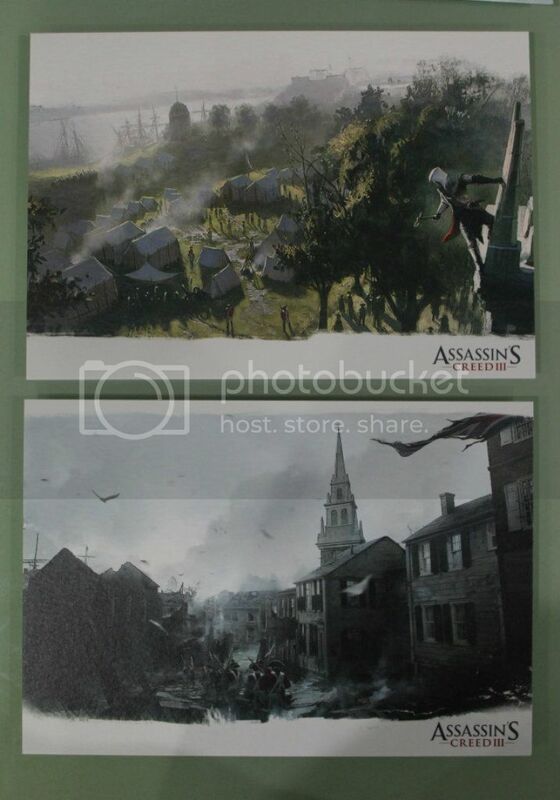 Highlight for me was obviously the Connor Statue but the Steel Book and Lithographs would have probably excited other collectors as well. The George Washington's Journal was also a nice touch and the PS3 game with extra DLC content is always a plus.